Scaled Agile Framework (SAFe®), created by Dean Leffingwell, is a framework that has been proven to successfully implement agile at enterprises. The Scaled Agile Framework (SAFe®) is a public facing and continuously evolving framework. It is an online, freely revealed knowledge base of proven, integrated success patterns for implementing Lean-Agile development at enterprise scale. The framework is for those who wish to master how to organize people working under them, to deliver high quality value products continually, cumulatively or incrementally, at the enterprise level. The SAFe® Advanced Scrum Master (SASM) is the next step in the Scrum Master’s learning journey. especially designed for the current Scrum Masters to take up leadership roles in facilitating Agile teams, programs, and enterprise success in a SAFe® implementation. covers facilitation of cross-team interactions in support of the program execution and relentless improvement. Pass the SAFe® Advanced Scrum Master exam. This is an online exam which you can take from the comfort of your home or office. For more details about the exam, please contact our trainer. 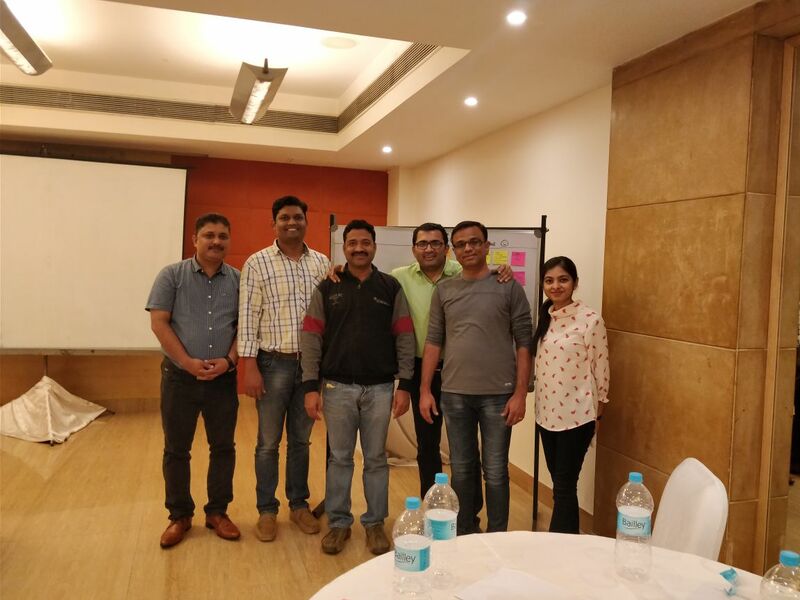 Vineet is excellent Agile trainer and mentor. I attended his SAFe Agilist and Agile coaching training. He also provided me support to pass PMI ACP exam. He is a thorough trainer and he knows the concepts in depth. He can explain any complex situation with his hands on knowledge or case studies. It wont be exaggeration if I say ,I could successfully complete my agile journey only because of his support. © 2014-2019, Scale Up Pvt. Ltd. All Rights Reserved. PMI, PMP, CAPM, PgMP, PfMP, PMI-RMP, PMI-SP, PMI-ACP, PMI-PBA and PMBOK are registered marks of Project Management Institute, Inc.